This story comes from an old issue of Grassroots Motorsports. Like stories like this? You’ll see every article as soon as it’s published by reading the print edition of Grassroots Motorsports. Subscribe now. Odd, isn’t it? Open-wheel racing in America was almost immediately Big Business from the first Indianapolis 500 in 1911, when Ray Harroun won. The crowd was 80,000, the purse was a stunning $25,000, and it was doubled the very next year. For the 2013 Indianapolis 500, Tony Kannan won $2,353,355, earning him a well-above-minimum-wage $14,708.47 per minute. While drag racing has probably been around since the very first car ever built lined up next to the second car ever built, it became a major money-making proposition in 1951, when automotive magazine publisher Wally Parks founded the National Hot Rod Association, the world’s largest motorsports sanctioning body. The purse for the 2013 U.S. Nationals in Indianapolis alone was more than $2 million. 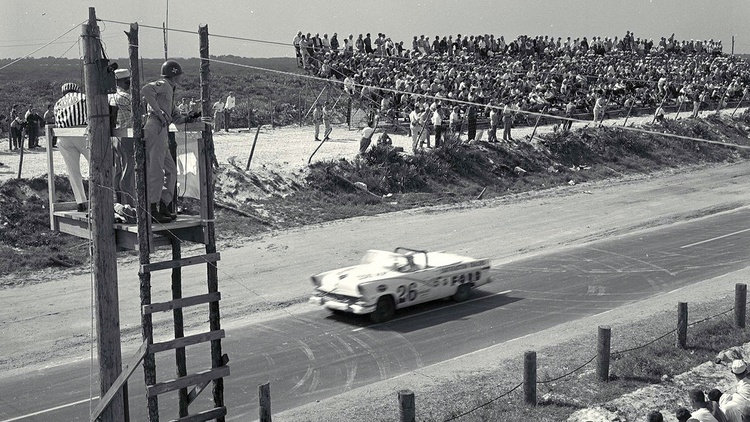 Stock car racing was quickly becoming a cash cow after World War II, and that famous–or infamous, some would suggest–meeting headed by Bill France Sr. on December 14, 1947, at the Ebony Bar at the Streamline Hotel in Daytona Beach, Florida, resulted just two months later in NASCAR, which gradually elevated stock car racing to the next level. The money seems to be pretty good. Career race winnings alone for a 38-year-old guy named Jimmie Johnson, for instance, total somewhere north of $130,000,000, and he suggests he isn’t quite through yet. And sports car racing? Well, that’s another story. A long, relatively compelling story that has so little in common with the three types of racing outlined above that you would think sports car racing is some fledgling, hopeful startup like drifting or Global RallyCross. An October 11, 2013, memo for the brand-new Tudor United SportsCar Competition series–the merging of Grand-Am and the American Le Mans Series, beginning with the 2014 Rolex 24 At Daytona, and continuing with the Mobil 1 Twelve Hours of Sebring–lists the proposed prize money per race on one of the series websites. For the top Prototype class, winning Daytona and Sebring both–a monumental achievement–would net the victorious team $130,000. That would be $60.19 a minute, or $14,648,28 less than Kaanan’s per-minute salary, although that probably includes a premium since Tony had to work on Memorial Day weekend. And given what it costs to field a Prototype car–the crew, the multiple drivers, transportation, lodging, the necessarily replaceable bits and pieces to operate it for 36 hours–it’s almost hard to consider sports car racing a for-profit business. Consider that NASCAR driver Joe Nemechek won $264,354 during the 2013 Daytona 500 by finishing last of 43 cars. J.R. Hildebrand managed three laps in the 2013 Indianapolis 500 before finishing 33rd in the field of 33: He won $264,305. 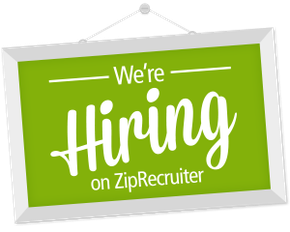 If your criteria for a professional sport mandate a substantial payday for exceptional performance, sports car racing in the U.S. scarcely qualifies. Compared to NASCAR, for instance, where high-dollar sponsors and merchandise sales and endorsement deals can greatly sweeten the already sugarcoated pot, sports car racing barely deserves a deposit slip. 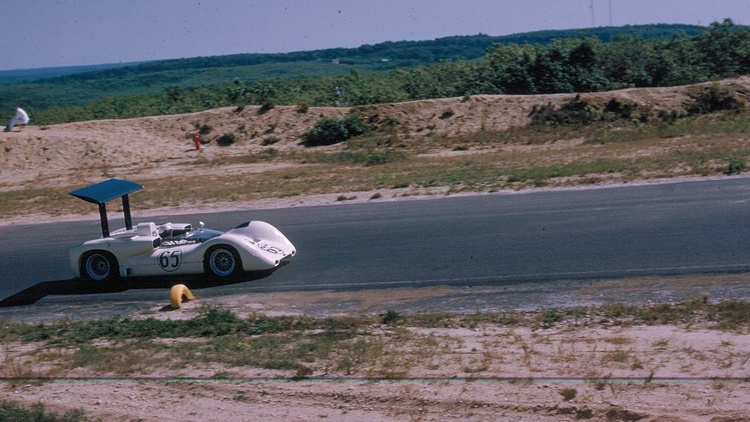 To understand the current state of sports car racing in the U.S., it helps to be familiar with its history. Sports car racing has been around since there were sports cars, but attempts to formally, nationally organize it into some semblance of a professional sport weren’t really successful until 1969, with the birth of the International Motor Sports Association. It was the offspring of the brains of former Sports Car Club of America employee John Bishop, his wife, Peggy, and aforementioned NASCAR founder Bill France Sr.
IMSA has come full circle, back in the hands of the France family: Though the new, combined series is officially the Tudor United SportsCar Challenge, its official website is imsa.com–possibly one reason being that uscc.com takes you directly to the U.S. Cellular corporation. It isn’t that Bill France Sr. hasn’t dabbled in sports cars before. When Toyota finally won a NASCAR race, journalists had to be reminded that it was not the first time a foreign brand won. That happened when Al Keller triumphed in NASCAR’s first road course race on a track in Linden, New Jersey, in a four-year-old Jaguar XK-120–on June 13, 1954. The car was owned by big band leader Paul Whiteman, a major sports car backer and participant from the era, who did as much to popularize racing as any celebrity before or since. Keller, later killed in a Champ Car crash at age 41, beat out various MGs, Austin- Healeys, a Porsche and even a Morgan. 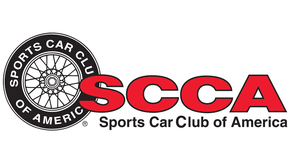 Ten years before Al Keller’s victory, the Sports Car Club of America was formed. Then, as now, it was slightly schizophrenic as it tried to decide exactly what it was–an amateur club for racing enthusiasts, or a force in professional sports car racing that sanctions, for example, the Pirelli World Challenge series and the Red Bull Global RallyCross Championships. The SCCA made it formal with its first professional racing event on February 3, 1963–a United States Road Racing Championship race won by Jim Hall at Daytona International Speedway. 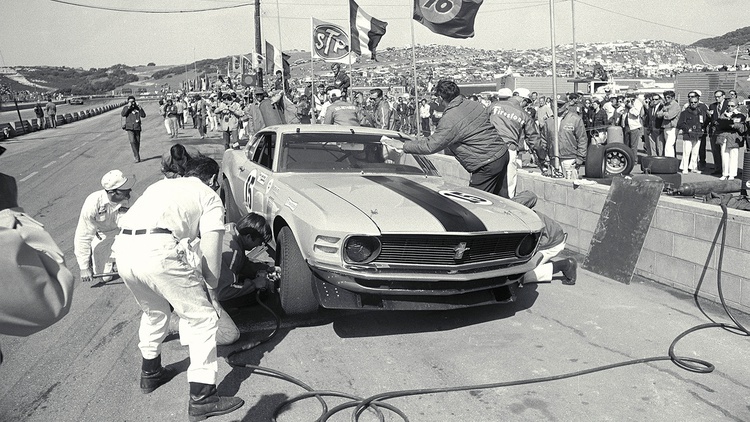 In 1966, the SCCA launched the Trans-Am series, which it owned through 2000, then relaunched in 2009. Not quite as long-lived were the Can-Am and Formula 5000 series. There was never any question about Bill France’s intentions: Make money. Over the decades, the France family has been generous with their charity offerings, but operating racing series solely for the benefit of mankind was not part of it. So when John Bishop, competition secretary of the SCCA–and arguably the man most responsible for launching the Trans-Am and Can-Am series–became available at the end of 1968 because of what IMSA biographer John Starkey generously referred to as “internal politics within the SCCA,” Bill France saw an opportunity. After all, France founded NASCAR in 1948, the same year lawyer and SCCA member Cameron Argetsinger began organizing sports car races in Watkins Glen, New York–in part because Argetsinger had no place to race his MG.
A year later, France promoted a sports car race in Fort Lauderdale. In 1957, he organized a race just south of Daytona won by Carroll Shelby in a Ferrari. In 1959, when France’s Daytona International Speedway opened, he promoted a sports car race–the Paul Whiteman Cup, named for the bandleader–on the infield road course. By 1962, France was ready to take the race to international levels, with the 3-hour Daytona Continental, which eventually became, of course, the Rolex 24 At Daytona. But still, while France had busily and successfully monetized NASCAR, sports car racing remained a side bet, and he had less and less personal time and disposable income to alter that. He could see the success of his own Daytona, the way Cameron Argetsinger’s Watkins Glen efforts had progressed, and the slow-but-sure traction road racing was gaining as far away as Riverside, California, and as close as the just-down-the-road Sebring International Raceway. 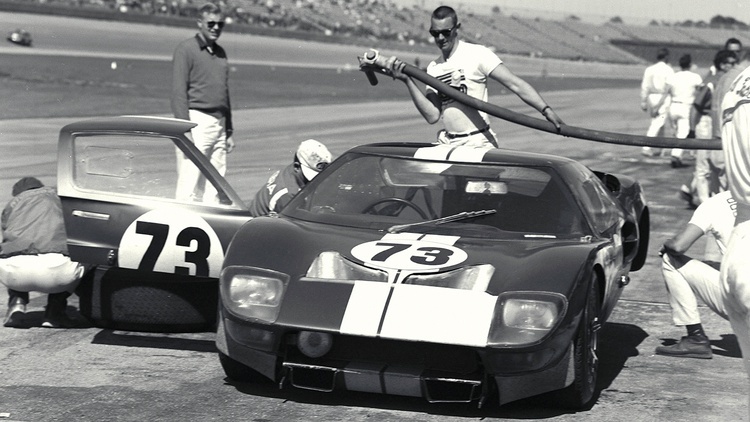 With the millions spent by Ferrari and Ford in their much-publicized battle to win the 24 Hours of Le Mans in the 1960s, certainly some of that money had to migrate to American sports car racing, right? So with Bill France’s backing, John and Peggy Bishop started IMSA in 1969. It gained a foothold quickly, or “quickly” as success is measured by motorsports standards. Within a few years, IMSA’s Camel GT series took off after Bishop wisely deduced that–aside from Daytona, Sebring and Watkins Glen–all these stellar cars really had nowhere to race during the year. 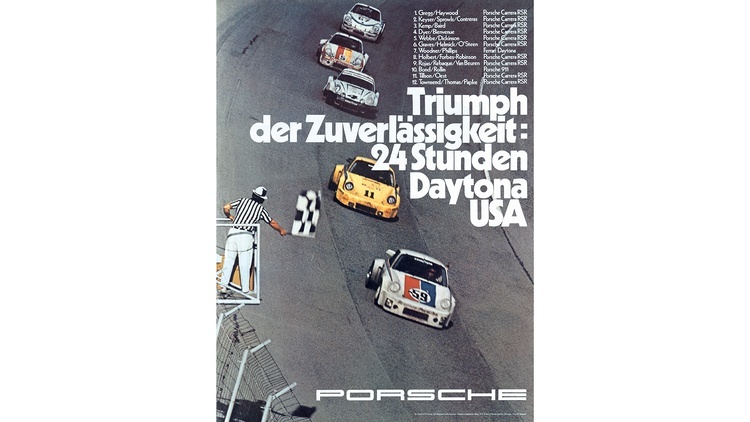 This very first season saw a compelling battle between Peter Gregg and Hurley Haywood, who drove a Porsche 914/6, and Dave Heinz and Orlando Costanzo in a Chevrolet Corvette. Haywood won the first-ever IMSA championship, edging out teammate Gregg. Together, they won three of the season’s six races. With guidance from France, who had landed Winston as NASCAR’s title sponsor, tobacco company R.J. Reynolds assigned Camel to NASCAR’s sports car sibling. 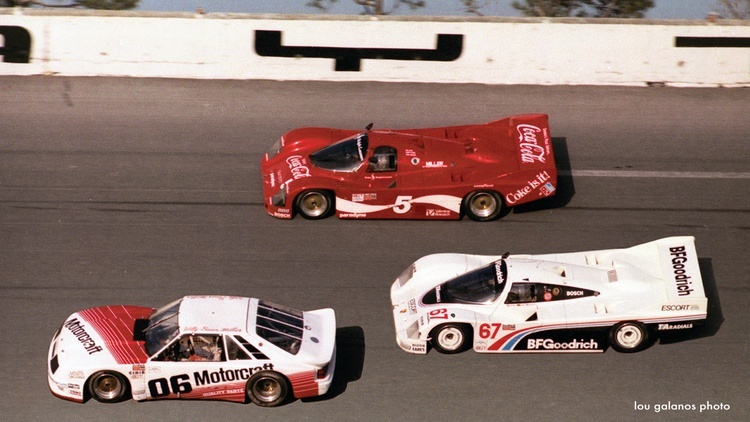 Something else was happening at IMSA: The races and teams were populated by a mix of professional racers and deep-pocketed amateurs, who typically funded the effort. That template remains. Just a few months ago, at a Porsche young racers’ seminar, Hurley Haywood offered the up-and-comers advice on how to attract, and deal with, gentleman racers “because that was what my career has depended on,” he said, “and yours will, too.” Of course, how some of those amateurs financed their racing efforts is a part of IMSA history, too. 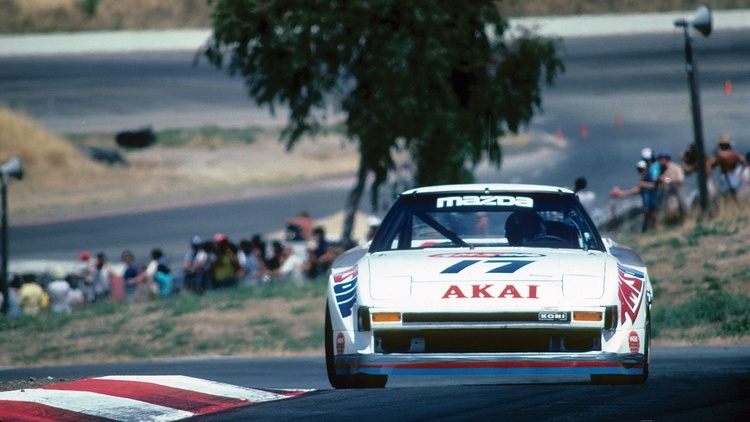 Stories from the 1980s regarding IMSA racing–the International Marijuana Smugglers Association, some called it–are legendary. There were tales of engines being paid for with big bags of cash in paper grocery bags. There were stories of an RV rental business that was ultra-profitable, mostly because the owners would tape big stashes of drugs to the undercarriage, causing unsuspecting vacationers to deliver the products to destinations far and wide. There were accounts of a massive racing enterprise funded by, the owner once said, a rental fleet of five jet skis. In the end, you know some of the names: Randy Lanier, 1984 Camel GT title winner, was sentenced to life without parole in federal prison in 1988 for marijuana smuggling. Attempts to communicate with Lanier via the federal email system have been spotty, interrupted by weeks of no response followed by emails that often read, “Sorry, the prison was in lockdown. They wouldn’t let us get to a computer.” He is presently in the U.S. Medical Center for Federal Prisoners in Springfield, Missouri. Lanier was friends with fellow Floridians Dale, Bill and Don Whittington, all of whom were racers. Dale, the youngest, died in 2003. His brothers, Bill and Don, served brief prison sentences as a result of charges involving marijuana smuggling and tax evasion. Bill is running a lodge in Pagosa Springs, Colorado. Don runs World Jet, a fixed-base operator at Fort Lauderdale Executive Airport. He seems to have at least nine lives: He ditched a P-51 in the Gulf of Mexico in 1990 after running out of fuel, and he crashed a Huey helicopter in a corn field in New Mexico in 2006. John Paul Sr. was the most notorious of all: Hot-headed but talented, he won both Sebring and the 24 Hours of Daytona but could never entirely outrun the legal troubles that began in 1979 with accusations of drug smuggling that escalated to attempted murder. In and out of prison, he disappeared on his 55-foot boat with a woman named Colleen Wood, who has not been seen since. Paul, still in violation of his parole, would be 74 now, and may or may not be living in Thailand, where the boat he sailed away on, Diamond Girl, was sold through a classified ad in a magazine. If you want a comprehensive, year-by-year history of IMSA and Camel GT racing, we refer you to the excellent unofficial website imsahistory.com. It’s exciting to read about the advent of fame for names we consider legendary now, such as Al Holbert, John Greenwood, Bob Sharp, Brian Redman and so many others. IMSA rocked along though the 1970s, and as it entered the 1980s and the era of the prototype, the top classes became populated with more serious cars made by companies like Lola, March, Spice and Eagle. These strayed further from the production-semblance formula Bishop began. 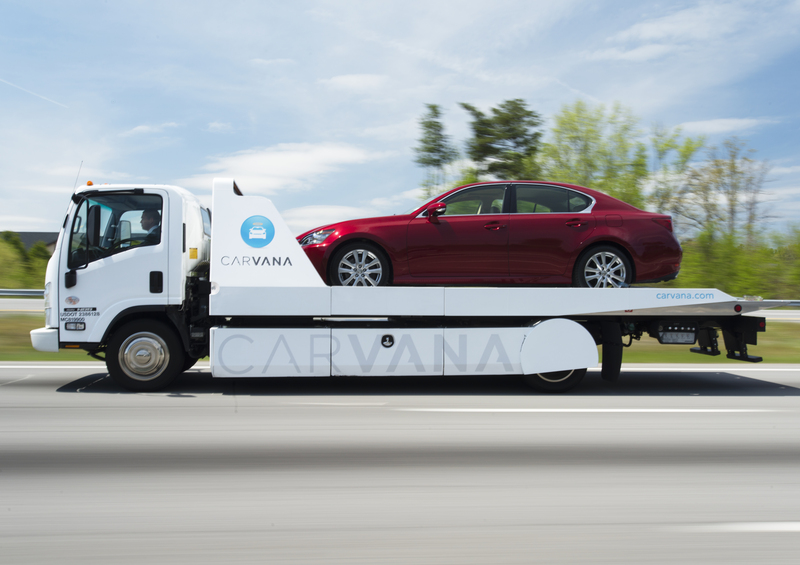 Asian manufacturers like Mazda, Nissan and eventually Toyota began participating in a big way. Jaguar backed the Bob Tullius Group 44 Inc. team. 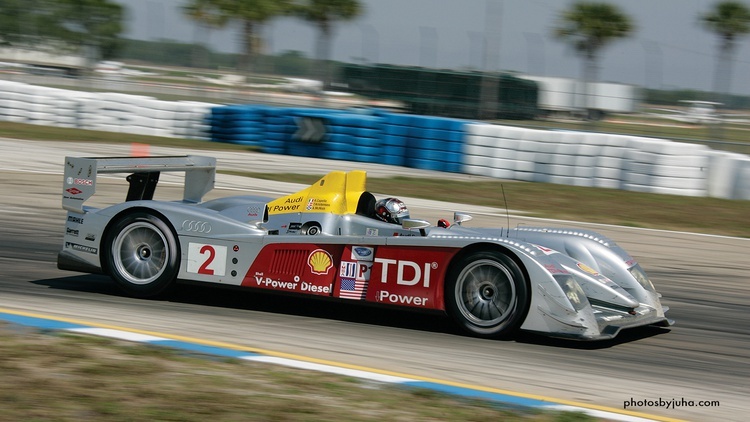 Money was flowing on and off the track as other brands sought to beat the long-dominant Porsches for overall GTP wins. The GTO and GTU classes held the interest of those fans, competitors and manufacturers who wanted to race with the big boys and still have some stellar intermural battles in familiar-looking cars. You could almost call 1987 the year of Willy T. Ribbs; racing had never seen anything quite like him before and hasn’t since. Then in 1993, this particular era was over. Toyota bracketed the season with a win at Daytona and a win at the last-ever race for the GTP cars in Phoenix. 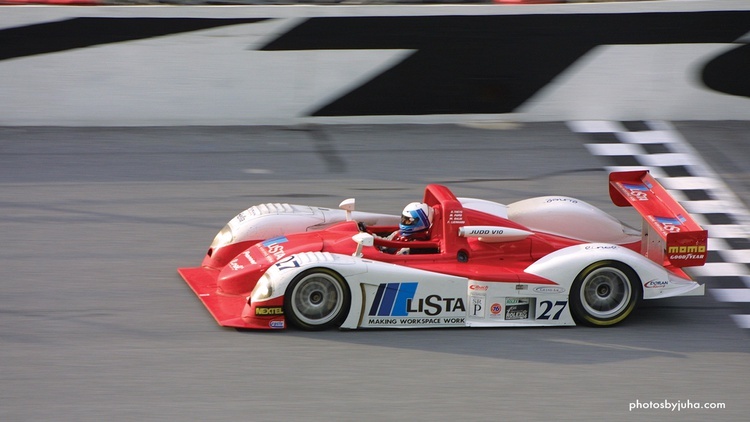 In 1994, the World Sports Car class migrated from Europe, this time used by IMSA for the series’ top class of prototypes until 1998, when the series ended. But the WSC cars never won the hearts of American sports car fans. By the mid-1980s, John Bishop was becoming uncomfortable with the increase in factory participation, as he knew that factories come and go, but privateers tend to stick with a series through thick and thin. 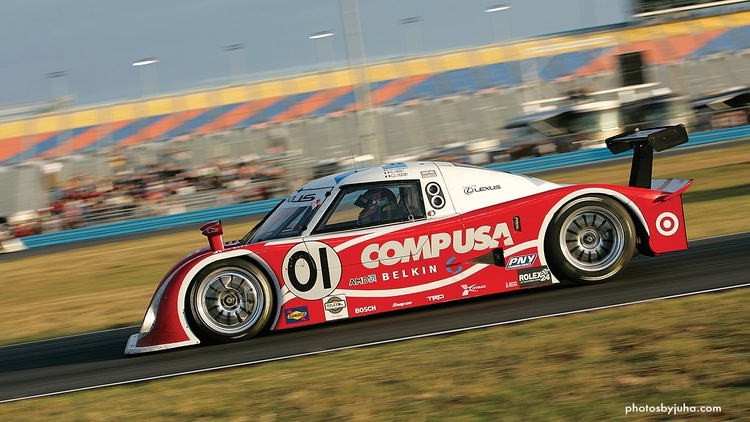 In 1989, a couple years after suffering a heart attack, Bishop sold IMSA, thus beginning a series of ownership changes that–like the CART and Indy Racing League split–resulted in two separate series: Professional Sports Car Racing, which is what eventual part-owner Andy Evans called IMSA, and the United SportsCar Road Racing Championship, which revived a name coined by the SCCA and John Bishop in 1962. The latter series again involved Bishop and the France family. You know what happened next: Evans sold out to Don Panoz, and what was IMSA became the American Le Mans Series, with IMSA remaining as just a sanctioner. And the USCRRC evolved into Grand-Am under the leadership of Jim France. Those two series remained as separate as you can get until 2012, when gentleman driver Ed Brown brokered a series of meetings between Panoz and France. They essentially resulted in a merger after Grand-Am wrote a check, reportedly for $37 million, to acquire ALMS, Road Atlanta, the lease on Sebring and control of IMSA. That, of course, takes us full circle. Will it work? We’ll know better on January 25, when the green flag falls on the first Tudor United SportsCar Championship race, the Rolex 24 At Daytona. We know one thing now, at least: With a proposed total purse of $500,000 for all five classes racing, no one will get rich from the prize money. But now that things have been unified, perhaps corporate America will again notice. This story comes from an old issue of Grassroots Motorsports. Like stories like this? 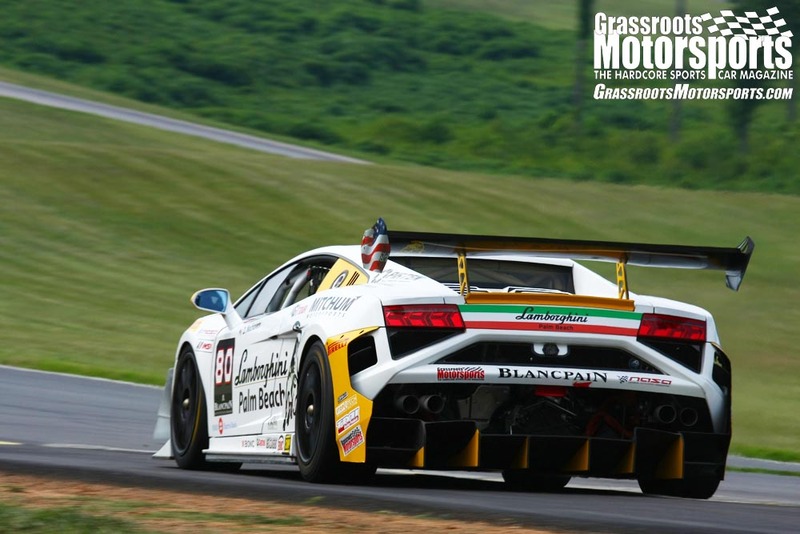 You’ll see every article as soon as it's published by reading the print edition of Grassroots Motorsports. Subscribe now. 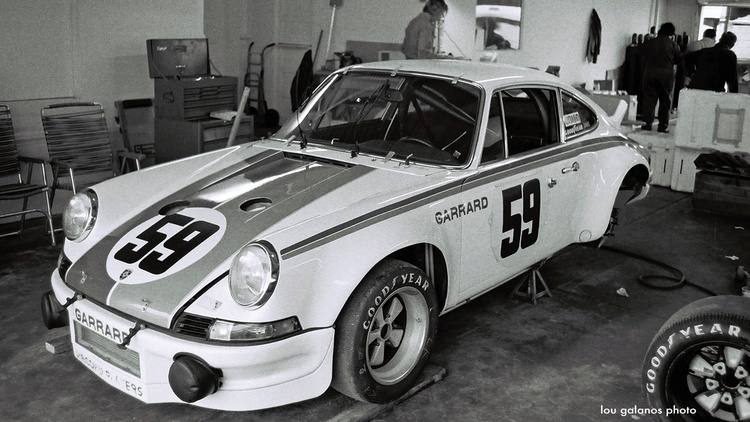 I still remember my first IMSA weekend at Pocono Racsway in 1973. Not surprisingly, the answer to the question was and is "no", thanks to our litigious society. Disagree, unless you think safety is bs. I say YES, having run round track for 30+ years I am looking forward to something besides 'roundanroundanroundanroundroundround. .I hope so. That was some amazing racing back in the day.